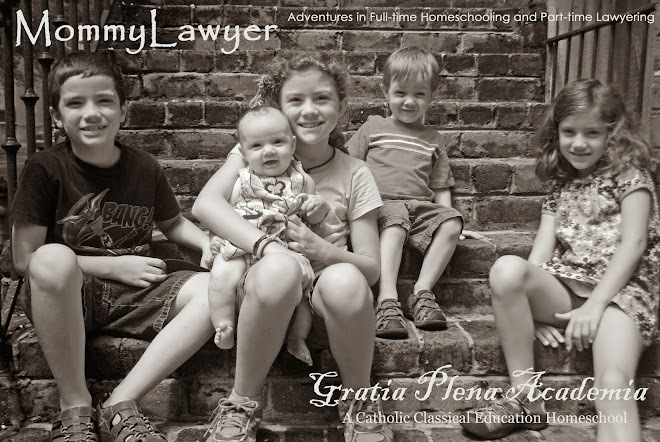 MommyLawyer: Planning for Next School Year including Downloadable Forms! Planning for Next School Year including Downloadable Forms! I know, I know... It's terribly early to be planning for the 2013-14 school year, but that's how I roll! Not to mention, my normal planning month, April, will be filled with baby-gazing and resting. So, I have to get ready for next year NOW! I usually take my planner, once put together to my satisfaction, to my local office supply store for clear plastic covers and spiral binding. I may try to publish some of my forms here in the future. I don't mind sharing! Speaking of sharing, I've made a Student Planner for my children, and I'm happy to let you download it! One page is a relatively blank form that can be printed for the number of weeks of the school year. Since we home school year round (with several breaks built in), I plan on printing 52-54. That page is here. Just so you know, I've made it for the subjects we use; if you don't use those subjects, you can at least use it as a guide to create your own. The blanks next to the weekday names are to put in the specific dates. The next page is the page my children can use to write the things they want. Included are areas to write down their "jobs at home" (i.e., their chores), a To Do List, appointments, and things they are reading/doing. I've also included "Dreams for the Week," "Creative Corner" (for doodles and the like), and a question at the bottom of the page they can answer (a different question every week). There are 54 different pages here. I will print the first page (the school work planning page), then print the fun page on the back side of the school work planning page. I'll either comb bind each child's book with a cover page of their choice or I'll take it to my local office store and have it spiral bound. I don't mind if you download them and use them for your own use. If you choose to share, please link back to my website and don't pawn off my work as your own. See? Nothing too harsh!